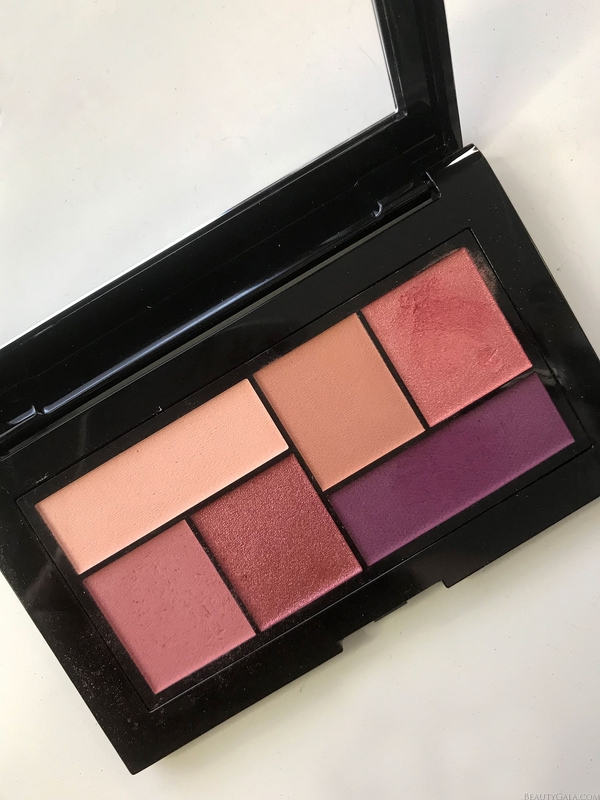 Maybelline came out with a brand new City-Mini Palette and it is called Blushed Avenue. It’s filled with neutral shades of peach, beige, and pink, with a pop of purple. I’m really feeling the summer jewel tones right now and I wanted to pair the purple with the peach shade. 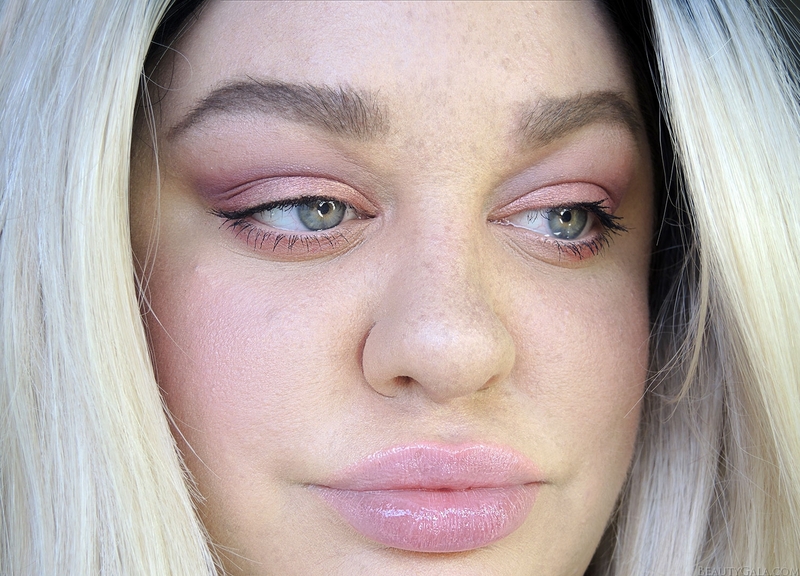 I included some faux freckles (how-to HERE) and kept my look beachy and natural with some coral blush and pink lip gloss. 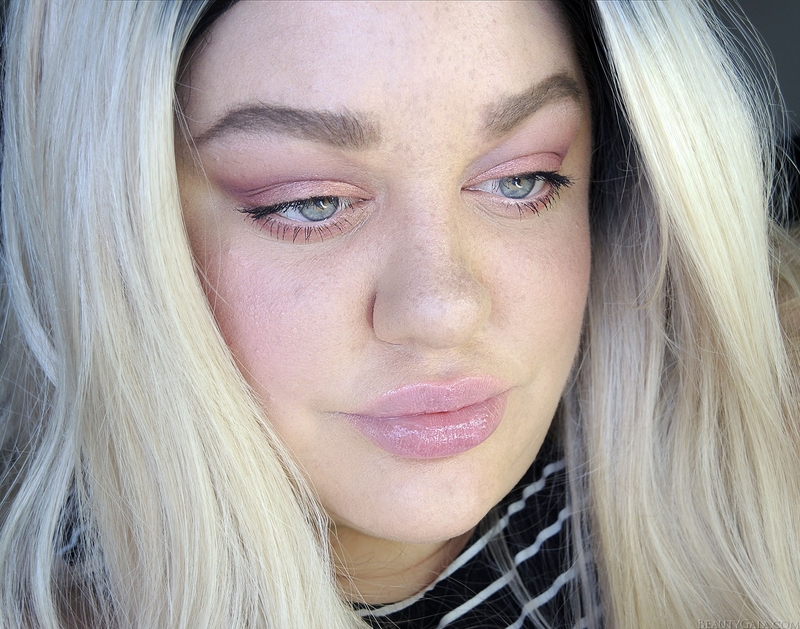 Full tutorial and all products used inside! Use Shade 1 in the crease of your eye and blend upward. This beautiful purple shade is pigmented and blends really well. I like making it softer as I go higher up on my brow-bone and building it up to be a bit darker in the crease. Pat Shade 2 all over your eyelid. This peachy-gold shimmer shade goes wonderfully with the purple. For the lower lashes, blend Shade 3 under them. 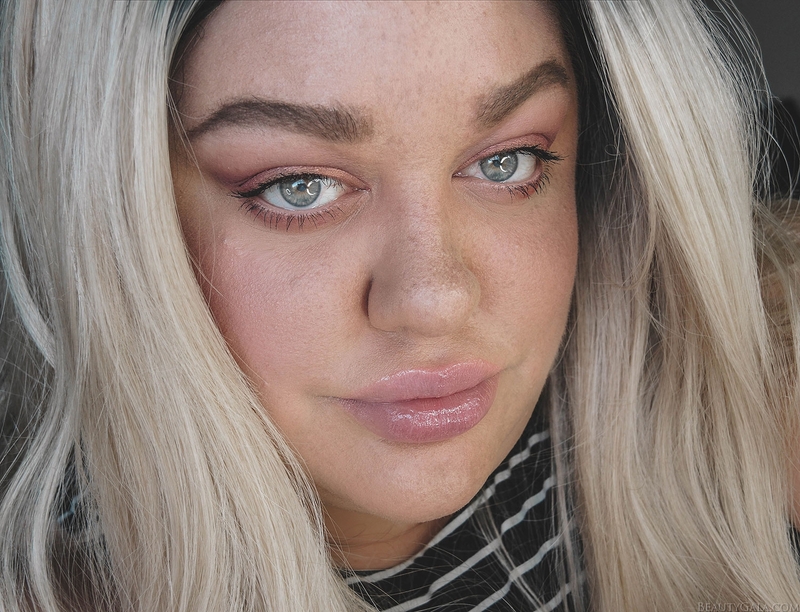 I like this shade because it ties the whole look together and it’s matte, so you don’t have to worry about shimmer settling into your fine lines or having any fallout underneath your eyes. Apply Shade 4 to your brow-bone to complete the look. 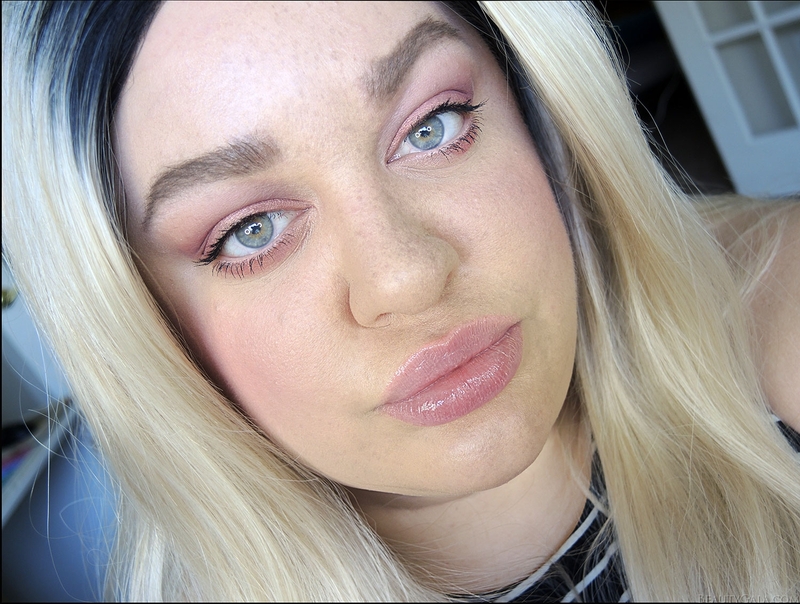 I curled my lashes and applied my favorite mascara (listed at the end of the post in “Shop This Look”). 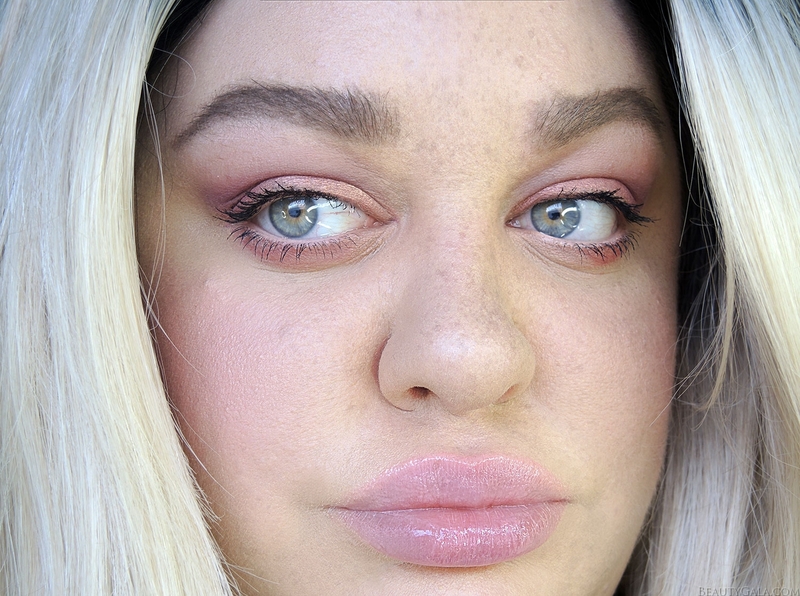 I used my faux freckle method to apply light freckles on my nose and forehead.